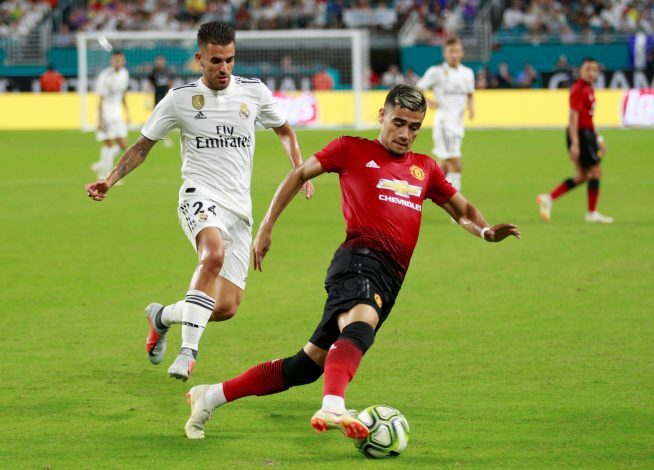 Andreas Pereira has admitted that he is ready to play for his favourite club, Brazilian outfit Santos, for ‘free’ if he gets a chance. Pereira has managed to earn Mourinho’s trust this season. The 22-year-old was one of the best performers for the Red Devils during their pre-season tour in the United States, and retained his spot in the starting XI for the first three games. But the Manchester United gaffer had to switch tactics this weekend, and Pereira was dropped from the away game against Burnley. While his United career flourishes, Pereira has named the club he wishes to retire at. Despite being born in Belgium, his heart lies in Brazil, and he wants to play for Santos before he hangs up his boots. In a recent interview with Globo Esporte, Pereira revealed: “I’m a Santista. My whole family is Santista and I grew up being a Santista. If it’s to play, I’d rather play at Santos, end my career there. I think it’s a dream. The youngster is set to make his international debut for Brazil during this international break. Pereira also revealed how his fellow United teammate Romelu Lukaku tried to convince him to join the Belgium national side, as he had already represented the Red Devils at youth level. But the Manchester United youth academy graduate wasn’t ready to make this switch, as his heart was set out to represent the Seleção. “He tried to convince me. He spoke to me: ‘You have to play for Belgium’. He came to talk to me, he’s always talking to me,” Pereira admitted.